It’s two weeks until the progressive music community heads to the warm climes of Barcelona for two days of top-notch rock and metal via Be Prog! My Friend festival. While we already ran down the lineup in a podcast episode [listen here], we’re providing a quick preview of the festival in written format as well, to highlight some personal favorites at BAHQ. Be Prog! My Friend is in its third iteration this year, with previous lineups boasting as bewildering a list of diversity as Marillion’s Fish, Meshuggah, Anathema and Ihsahn in one area. Taking place in Poble Espanyol – a stunning architectural museum – the setting will be perfect for the atmosphere these bands will conjure, whether in the extreme metal of Between The Buried And Me or the delicate ‘chamber-prog’ beauty of iamthemorning. Local lads Exxasens will be opening the festival on a relatively gentle note, showcasing their cosmic interpretation of post-rock. Grandiose crescendoes and spacey ambience will sweep the audience in a similar vein to God Is An Astronaut and This Will Destroy You, and tracks like ‘My Hands Are Planets’ are more than likely to pick the band up a new fanbase. For a taster, check out Back To Earth via the band’s Bandcamp here. 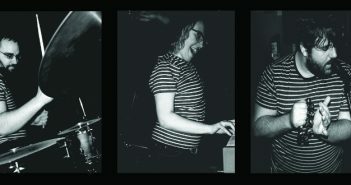 Iceland’s music scene has been on form since time immemorial, and their representative at Be Prog! is one of the cream of this crop. Agent Fresco may only have two albums to their name, but A Long Time Listening and Destrier are two of the most emotionally engaging albums in recent rock music, from some of the humblest people around. Defying classification and comparison, Agent Fresco will no doubt be an early highlight of the festival. Check out their music on Bandcamp here. Many of the bands performing at Be Prog! express duality in their music, and Textures do this with finesse. The progressive groove metal band from the Netherlands have changed a lot since their inception in 2001, but the fierce intensity of their music has remained constant, as well as the high-grade technical ability displayed in e.g. Phenotype [review here] and Duality, their two latest albums. The band are a force of nature live, but for now you can check their material on Spotify here. Without a doubt the most singular band on this bill, and the most influential, France’s Magma will draw an impressive crowd to see this psychedelic experience, incorporating fictitious languages , jazz fusion and art rock. Considering both Steven Wilson and Opeth’s Mikael Åkerfeldt have stated they are fans of the band, it should speak for the reputation that precedes Magma. As a primer for what to expect, here is their material on Spotify. 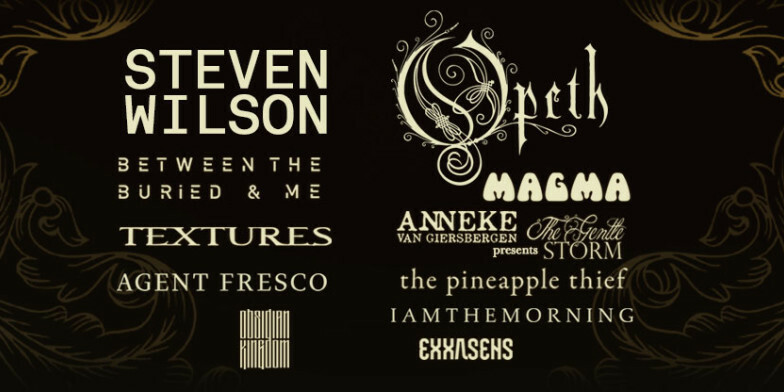 As one of the biggest names in progressive metal circles, Opeth’s announcement as headliner was all but set in stone. To quote frontman Mikael Åkerfeldt during their 2013 performance at Brutal Assault, “If we’re playing a jazz festival, we play them death metal, and if we’re playing a death metal festival we’re gonna play some jazz.”  So the audience can expect a usual diverse setlist blending their progressive rock leanings and death metal roots, though they would be remiss if they avoid taking advantage of the other headliner’s appearance. The name Storm Corrosion floats to mind… Opeth’s music is on Spotify here. Steven Wilson’s headliner set will come simultaneously as no surprise and yet a complete surprise. While the man has recently been playing his latest album Hand. Cannot. Erase. in full, festivals are a different kettle of fish. He has a diverse catalog of solo albums – not to mention his work with Porcupine Tree and history of cover songs  – which will make for an unpredictable performance, and as alluded to above, perhaps will feature an appearance from his good friend Mikael. Wilson’s music is not available for streaming, but ‘Routine’ from his latest album is on YouTube here. 1. Most of Magma’s lyrics are sung in Kobaïan, Wikipedia link here. 2. Video from where the quote was taken on YouTube. 3. Wilson has released numerous cover songs as singles, collected together as Cover Version. He also recently performed ‘Space Oddity’ in dedication to David Bowie, and ‘Sign o’ The Times’ in dedication to Prince.